Speaking as a reluctant veteran of 22 CESes, I have to agree: Las Vegas is a very bad place. At least one bizarre incident always transpires during my time there, and it takes a week for me to physically and mentally recover from the trauma of my visit. As for this year’s show, the continuing decline in the number of high-end audio exhibitors speaks for itself. CES has become a forum for the Internet of Things, artificial intelligence, and automotive tech, plus a load of other stuff audiophiles generally care little about. Yes, I can find relevant things to report on, but they’re increasingly drowned out by the automated flushing of the Smart Toilet That Cleans Itself. Nonetheless, I stumbled on some relevant products at CES 2017. All prices are in USD. After asking if I planned to attend CES, Sandy Gross, founder and CEO of GoldenEar Technology, pitched his new Triton Reference speaker as something that might make my trip to Vegas worthwhile. So when I entered the company’s lone CES exhibit room at the Venetian, my expectations ran high. At $8448/pair, the Triton Reference is the priciest speaker GoldenEar has released; at nearly 5’ tall, it’s also the largest. GoldenEar says that the Reference is flat to 20Hz, and its sensitivity exceeds 93dB — enough to permit its use with even low-power tube amps. All-new sub-bass, bass, and midrange drivers were designed for the Reference, and it has a redesigned, high-velocity, folded-ribbon tweeter with “50 percent more rare-earth neodymium magnet material” than is found in the tweeters used in GoldenEar’s other speakers. 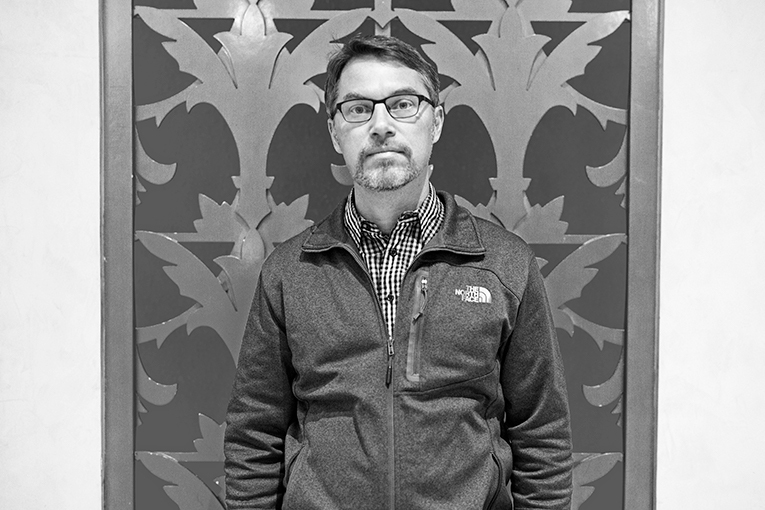 GoldenEar demos usually consist of music designed to show off their speakers’ bass and imaging — two qualities that can quickly be appreciated, even at a busy trade show. A recording of pipe organ they played easily dove into sub-20Hz territory. A Kodo drum track evinced effortless dynamics, and showed how the speakers could “vanish” when I closed my eyes. But the demo that most grabbed me was “If You Were the Only Girl (in the World),” a Dean Martin recording from 1958. Martin’s voice sounded so full and present through the Triton References that it was as if the Rat Pack crooner was in the room with me. The Triton Reference might be pricey for a GoldenEar Technology speaker, but in comparison with speakers costing twice or even ten times as much (plenty of those at CES 2017), its sound quality struck me as a relative bargain. It’s scheduled to launch this spring. In 2008, I made a road trip to Ohio to visit SVS, a small subwoofer manufacturer launched by a group of DIY speaker enthusiasts. 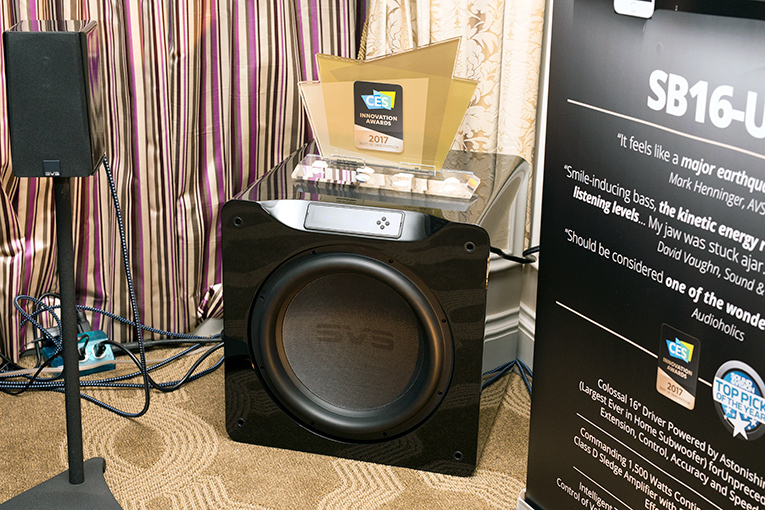 SVS, which assembled its products in-house at a facility in Youngstown, was on the fast track to success, and beginning to branch out from its core subwoofer biz into the manufacture of tower speakers and room-equalization processors. Today, a much bigger SVS still does R&D and engineering in Ohio, and has maintained its laser focus on high-performance subwoofers. At CES they showed the new SB16-Ultra ($1999) and PB16-Ultra ($2499) — sealed (SB16) and ported (PB16) subs that use 16” drivers to deliver bass down to 13Hz, well below the threshold of human hearing (though not sensing). At a respective 122 and 174 pounds, these are monster subs designed for bass fanatics. SVS’s drivers are custom-made of a fiberglass resin composite for the cones and a massive, 8”-diameter, edge-wound voice-coil. Each sub is powered by a class-D amp specified to output 1500W continuous and 5000W peak dynamic power, and fine-tunable using a custom app that communicates with the sub via Bluetooth. The demo used a DTS:X mix of electronic music that nicely showed off the capabilities of both new subs and SVS’s Prime Elevation height-effects speakers. Along with the GoldenEar Triton Reference, this demo had the best bass I heard at CES 2017. British electronics maker Musical Fidelity had big news to drop at CES: a distribution agreement with Audio Plus Services, US importer of such product lines as Cambridge Audio, Focal, and Naim Audio. Musical Fidelity’s CES booth also highlighted a range of new products, including the M6 Encore 225 ($5999, detailed in our SoundStage! Global coverage) and M2si ($999). 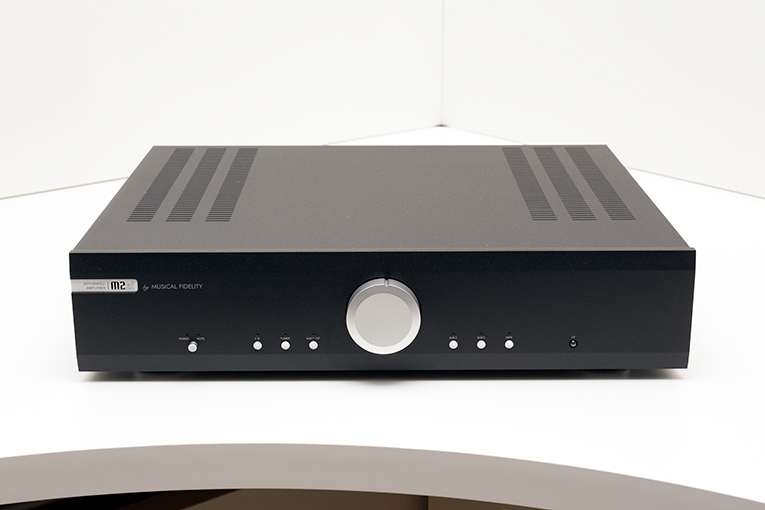 While the 225Wpc M6 Encore 225 is a Swiss Army Knife of a component with streaming capability, a built-in CD player/ripper, and 1TB of onboard storage, the M2si is a basic, elegant-looking, 55Wpc integrated amplifier. 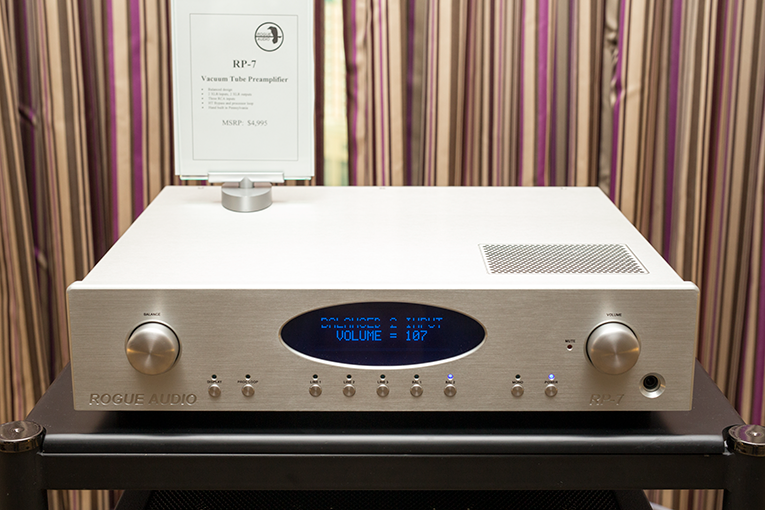 With no DAC, no streaming capability, and no phono stage, it offers just line-level analog inputs to connect sources. At $999, however, it represents an affordable entry point to Musical Fidelity products, which are routinely praised by audiophiles for their sound and build quality. The M2si will ship in March. Demos of prototypes are common at CES, so my eyebrows didn’t rise when ELAC speaker designer Andrew Jones unloaded the details of the prototypes of his Adante AS-61 stand-mounted speaker ($2500/pair) he was demoing in ELAC’s room. What did surprise me was the expected shipping date: the second quarter of 2017. That means that ELAC’s new speaker, to be accompanied by tower and center-channel models, is nearly ready to go into production. It sure sounded ready: Music played during the demo displayed precise imaging, good clarity with voices, and extended bass for a stand-mount design. 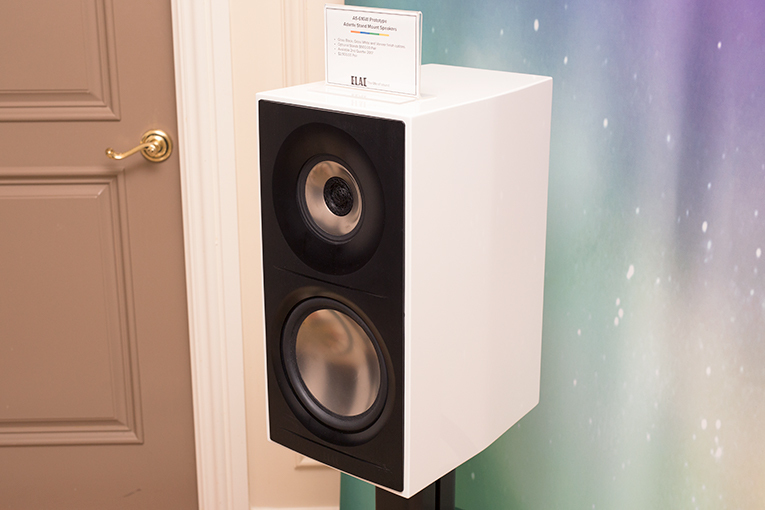 The speaker uses a coincident driver for the mid- and high frequencies, and there’s a waveguide to enhance dispersion. Bass duties are handled by what ELAC calls an Interport Coupled Cavity, in which an internal 6.5” woofer drives an external 8” passive radiator. 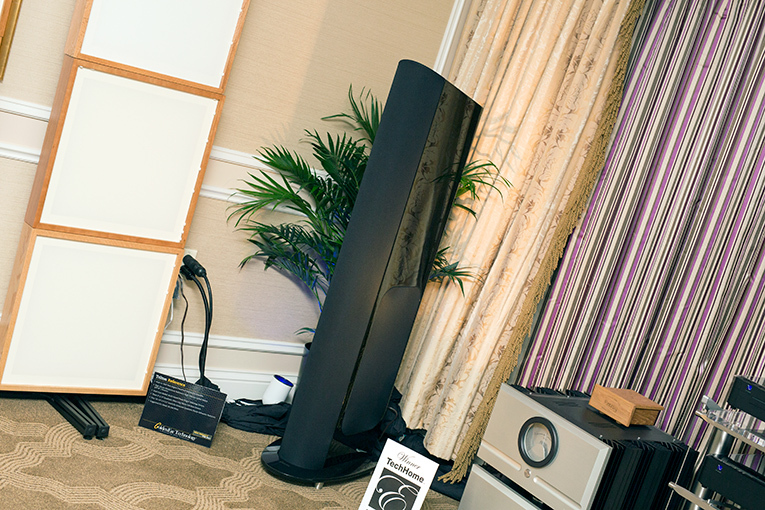 ELAC plans to make the Adante available in finishes of gloss white, gloss black, and home-theater-friendly satin black. Fresh from the glory of a SoundStage! Network 2016 Product of the Year award for its RP-1 preamplifier, Rogue Audio had a new preamp to show at CES 2017: the RP-7. At $4995, the RP-7 represents a big price jump over the $1695 RP-1. Rogue justifies this by claiming that the RP-7 has “remarkably natural and detailed sound that will place it alongside the best preamps in the world.” Them’s fightin’ words. Along with balanced circuitry, the RP-7 has two sets each of balanced XLR inputs and outputs, three pairs of RCA inputs, and two pairs of RCA outputs. It uses four 12AU7 tubes and Mundorf Silver/Gold oil coupling capacitors. User-friendly features include an OLED front-panel display, home-theater bypass, a Mono button, and a loop for an A/V processor. Volume attenuation is carried out in steps of 0.5dB. I tested Rogue’s claim of “remarkably natural and detailed sound” by listening to Lou Reed’s “Walk on the Wild Side” through their demo system. The sound displayed a striking degree of presence: the women’s voices in the chorus jumped from the speakers and wrapped around my head in a way I hardly expected. Seriously — mind blown. If the RP-7 — which Rogue paired with their Stereo 100 power amp driving Joseph Audio Pulsar speakers — can pull off that trick with a 1972 Lou Reed LP, think of what it will do for your other recordings. The RP-7 will be available in February.